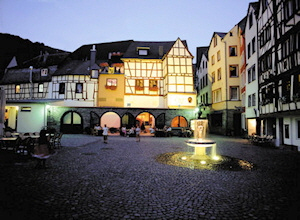 In the narrow romantic streets, right in the medieval center of Bernkastel you’ll find our lovely hotel. 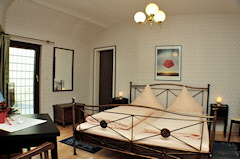 By yourself, with two persons or with your family: double-, singlerooms and our apartement with 2 bedrooms on about 40 squaremeters offer enough space for all your needs. 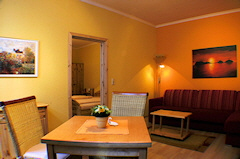 The individual and tasteful furniture of the hotelrooms belong to it as well as the cozy suites. 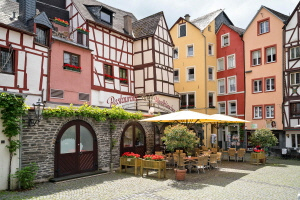 From April 1st 2018 the city of Bernkastel-Kues will be collecting € 1,50 per guest and day from each hotel guest. This “city tax” will be additional to the room price and the hotel has to transfer it to the city. In return, the guests will receive a “guest card”, which allows to enjoy special benefits. 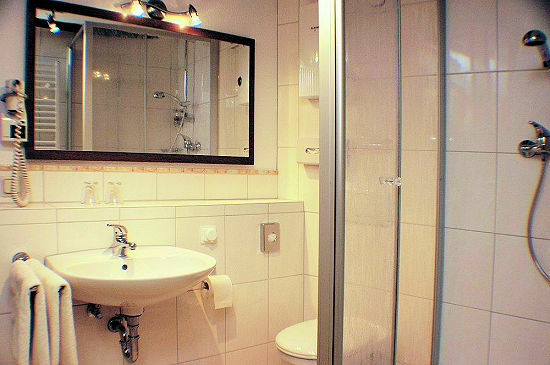 All rooms with shower / toilet, hairdryer, safe, TV and W-Lan Hot-Spot for free, two of them with air conditioner. Please note that our more than 700 years old house has no elevator. 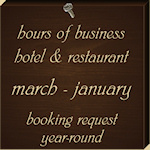 The room prices depend on the travelseason and the length of your stay. 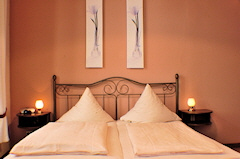 Prices for standard and standard plus depend on the size of the rooms and what floor they are at. 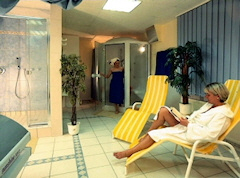 Arrival as from 14 h, departure until 11 h.
• 11:30 a.m. – 2:30 p.m.
• 5:30 p.m. – 8:30 p.m.
sauna, steamsauna, restingarea and solarium.